Mark D. Lubin is a Partner in Lubin Olson’s Real Estate, Business, and Finance and Workouts Practice Groups. He specializes in real estate acquisitions and sales, debt and equity financing, mortgage lending and workouts, capital raising and entity formation, with an emphasis on real estate and business transactions. Mr. Lubin co-founded Lubin Olson's predecessor, Stein & Lubin LLP. Over the course of more than 35 years of practicing law in San Francisco, Mr. Lubin has represented a wide range of real estate developers, investors and lenders in almost every conceivable type of real estate transaction, and has also represented many closely-held non-real estate businesses in connection with their formation, operation and sale. Mr. Lubin includes among his real estate clients purchasers and developers of all types of real estate such as industrial, office, retail and other commercial properties, land and residential real estate. Their projects often entail new construction or redevelopment. Mr. Lubin’s expertise includes negotiating and closing all varieties of real estate financing for his clients, including conventional bank financing, securitized loans, mezzanine debt and ground leases. Mr. Lubin has also handled hundreds of real estate partnership and LLC formations, ranging from two-party joint ventures to real estate funds with multiple investors. Due to his extensive knowledge and experience in these areas of law, Mr. Lubin has often participated in drafting significant California legislation on various topics. He was a member and past Chair of the Partnerships and LLCs Committee of the State Bar Business Law Section, during which time he made significant contributions to a broad spectrum of legislation, including the California Limited Liability Company Act; the California Revised Uniform Partnership Act; the California Limited Partnership Act; and the California legislation creating limited liability partnerships. He has also contributed to legislative efforts concerning more specific issues, such as real estate transfer taxes and rules applicable to private mortgage lending. 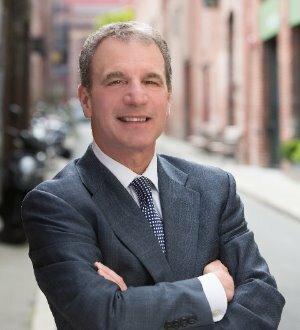 Throughout his career, Mr. Lubin has also devoted a considerable portion of his practice to mortgage finance. He has represented a wide range of lenders, from banks to private mortgage lenders, in all types of loan transactions. His experience provides valuable insights for structuring and documenting loan transactions, loan purchases and loan workouts. Mr. Lubin is a frequent author and speaker. He has co-authored four legal treatises published by CEB and the State Bar Business Law Section relating to the formation and operation of limited liability companies and partnerships, as well as numerous articles in legal periodicals and industry newsletters. Mr. Lubin has also appeared as a speaker at countless seminars and conferences, including continuing education programs for lawyers and conferences sponsored by real estate industry groups. Mr. Lubin was selected by his peers for inclusion in the 2017 Edition of The Best Lawyers in America© for his work in Real Estate Law. In addition, he was honored by Thompson Reuters as a Northern California Super Lawyer from 2006-2013 and in 2016.